Morocco Gold - Wins Gold! 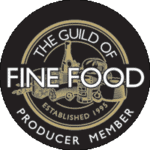 We are absolutely delighted to be selected as a Gold Award Winner in the Food Talk Awards. We see this as a key milestone in the development of Morocco Gold and our mission to establish this new and exciting, high quality, extra virgin olive oil from this wonderful new source in the UK market. I am so pleased to announce that you’ve been selected as a gold winner in the FoodTalk Awards 2018. Congratulations to you and your team. This is no mean feat as we had over 200 companies entering into multiple categories, so it really is an achievement”.